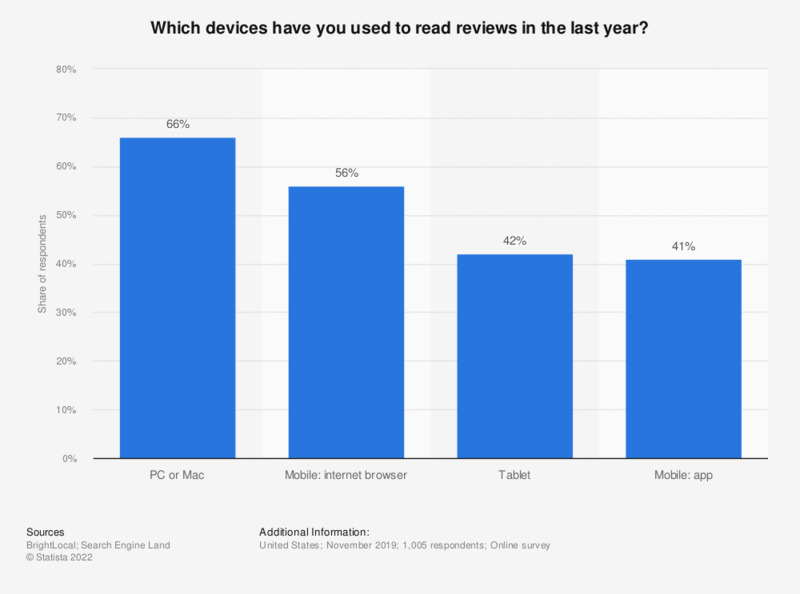 Which devices have you used to read reviews in the last year? This statistic presents the preferred type of mobile service when looking for a local business according to consumers in the United States in 2018. During the October 2018 survey period, it was found that 57 percent of survey respondents had searched for local businesses via mobile internet browser. Everything On "Online reviews" in One Document: Edited and Divided into Handy Chapters. Including Detailed References. How do you use your smartphone to shop while in a physical store? How do you search online for luxury goods? Are search engine results getting more relevant and useful over time? Do you trust that the provided search results are the most relevant?